Prabhupada: Responsibility is that you have got this human form of life. Realize God. This is your responsibility. Otherwise you are finished. Three words: "You have got this human form of life. Your only responsibility is to understand God. This is your responsibility." That is Vedic culture. Prabhupada: Dhira means one who is not disturbed by this bodily concept of life. He is dhira because he knows that "I am not this body," even there is some trouble in respect of body. 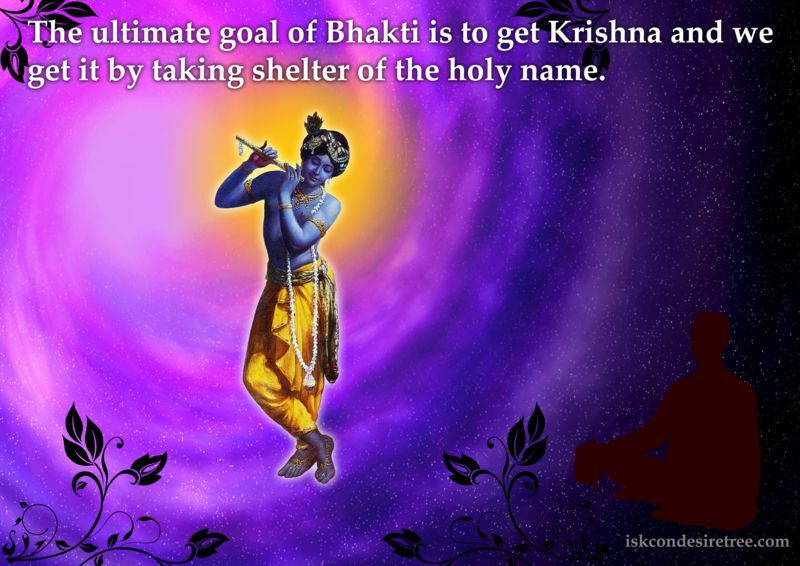 So Krsna advised that titiksasva bharata. : "Even there is some disturbance, tolerate it. Don't be disturbed." Bhakta, Bhakti, Bhagvan. Devotee, Devotional service, Supreme Lord. Prabhupada: A child wants to play, and the father and mother gives the toys for that play. So without getting help from the father and mother, the child cannot enjoy. 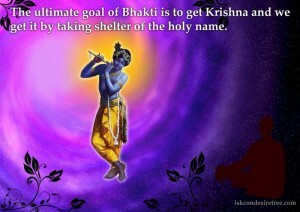 Similarly, we may desire but unless Krsna helps us we cannot fulfill our desire. Thou by Whose simple loving pastimes paradise is blest! How will I fitly love Thee, Lord?